Ever since its introduction is 2013, iBeacon technology has been consistently growing and today it plays a significant role in the global IoT infrastructure. With its innate ability to deliver contextual, timely and personalized mobile experiences, the technology has witnessed widespread adoption and growth on both business and customer fronts. 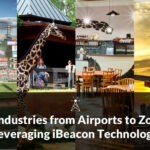 In fact, the technology has gained so much popularity that beacon-based proximity solutions are being leveraged across 19 industry verticals and it is forecasted that 400 million beacons will be deployed by 2020, according to ABI research. In this post, we bring to you the top beacon trends, from, future growth trends to customer behaviour patterns to success metrics from major beacon projects. The beacon-based proximity industry has been making big strides technologically in order to make it more accessible and functional to users. The introduction of Google’s Eddystone beacon format on Chrome is a huge step for the proximity market as it addresses one of the biggest barriers to beacon adoption – the need for an app. Now, with Eddystone beacons, the proximity market is expected to witness a significant uptick. In addition to Eddystone, the announcement of the upcoming Bluetooth 5 standard is expected to further strengthen the proximity market. Bluetooth 5 is forecasted to potentially transform IoT interactions through its increased range, speed and broadcast capacity. Not only has the number of beacon solution providers increased, but the nature and scope of proximity solutions developed and delivered has also significantly widened. 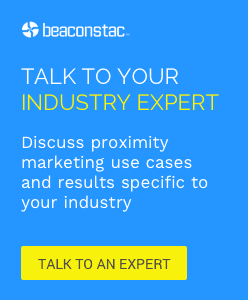 All this has led to close to 19 industry verticals adopting beacon-based proximity solutions. – Shifting focus on retargeting – Beacon-based initiatives are shifting their focus from pure couponing solutions to retargeting efforts across several platforms. There has been an overall shift in using the technology to drive brand value through curated mobile experiences in-store. The data granularity that beacons provide is also helping stores to precisely retarget customers and drive store visits. – Tapping into existing beacon infrastructure – As beacon-based initiatives surge, there has been a realisation across the industry to further tap existing beacon infrastructure and data in order to serve unique and differentiated experiences. Players are also looking at newer monetization channels with the current infrastructure. This could also be one of the reasons for the growth in beacon-networks. Thus, as beacons continue to prove their value to customers and businesses alike, it is only a matter of time before beacons and proximity solutions become ubiquitous.